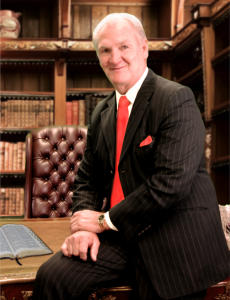 Pastor Herman Holland was born on January 20, 1947, in Meadville, Mississippi to Carl and Maxine Holland. His parents moved to Baton Rouge in 1956, where he attended Hollywood Elementary, Prescott Junior High and graduated from Istrouma High School in 1965. As a young man, Pastor Holland and his family attended The Church of God, where Pastor J.C. McClendon was the minister. It was under the leadership of Pastor McClendon that Pastor Holland was called to the ministry. He worked for several years as a young Christian and took on many leadership roles preparing him for his acceptance into Lee College in Cleveland, Tennessee. There he excelled in all of his studies and knew that the Holy Spirit had led him in his pursuit of teaching God’s message. In his final year at Lee College, he became the Pastor of his first church in Cuttia, Georgia. After receiving his B.A. Degree from International College of Bible Theology, he moved back to Baton Rouge and returned to The Church of God. After a time, he was called upon to Pastor another church in Baton Rouge and then went on to Pastor at Central Church of God for three years. In those three years, he was able to build a new church and started a Christian School, where he was the principal. In 1982, he and his wife started New Day Christian Centre in Walker, Louisiana. He has remained Senior Pastor since that time. Additionally, he has established a ministry in the Philippines, where eleven churches have now been built. Each year he travels there to continue spreading the word of God. Wherever he is ministering, the congregation cherishes his deep knowledge of the Bible and the teachings of Jesus Christ. His delivery of scripture is so profound and powerful that all leave with a true understanding of God’s word. One of his greatest attributes is the ability to communicate on every level with enthusiasm and poise. His dedication to his church congregation, community and family is given with a passion that truly sets him apart. God has given him infinite wisdom and the ability to spread the gospel with love and pure joy. Pastor Holland is truly a man of God and lives his life accordingly. Pastor Holland has been married to his wife, Deborah, for forty years. They have been blessed with five children, who are all involved in the ministry. One of their greatest joys and blessings are their fifteen grandchildren. In addition to being Senior Pastor of New Day, Pastor Holland is often sought after to speak at many missions around the world and the United States. Once he has spoken or ministered at a venue, he will be asked to return again and again. He often states that serving the people at New Day, his foreign ministries, speaking engagements and the love of his family has been the joy of his life. He gives all the honor and glory to God.